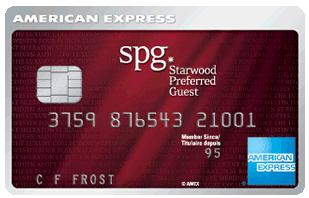 Canadian Rewards: AmEx SPG: is the END near? We always hear news regarding SPG-Marriott merger. It seems that the merger will be completed in 2018. So, recently I got many similar questions from our readers:"Should I apply the AmEx SPG now?" This is a simple question and please let me answer it here: you should apply the AmEx SPG if you don't have one now. The value of the 20000 SPG welcome bonus is around $600, and the annual fee is only $120. It may be discontinued soon, so what? You should apply it before it is gone. In today's Canadian market condition, one Hard Pull for $480 is not a bad deal. 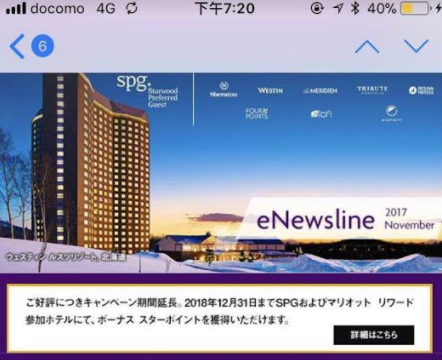 Also, one of my friends in Japan told me today that he got an email from AmEx, which indicates that the AmEx SPG (Japan) could be available till Dec 31, 2018. So, from my point of view, there is nothing to worry about for now. BTW, if you want to apply AmEx SPG, please use our referral link below. Thanks.